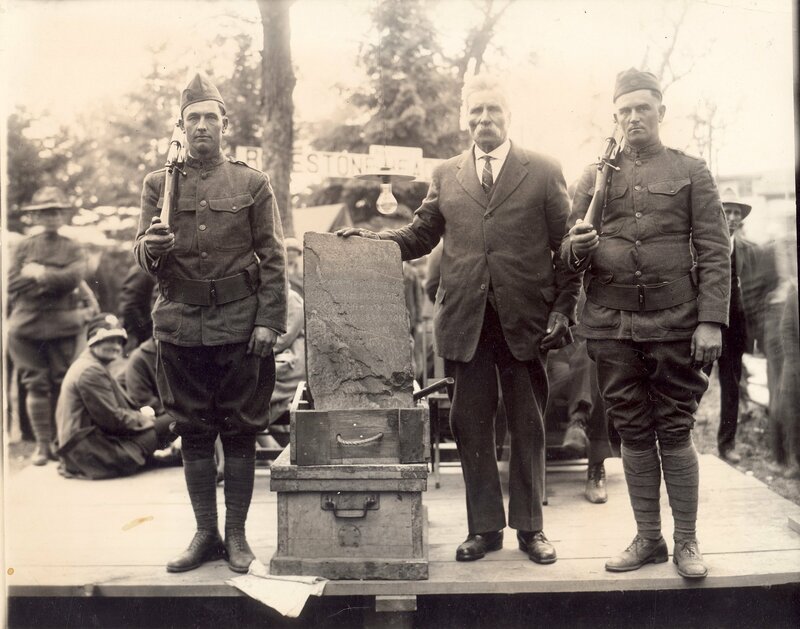 Swedish American farmer Olof Ohman believed that the stone found in his Minnesota farm field in 1898 is proof that Norse explorers had visited the region in 1362. Photo courtesy of the Douglas County Historical Society. New satellite evidence suggests that Vikings may have reached another location in Newfoundland. This one is 300 miles south and west from the L’Anse aux Meadows settlement discovered in the 1960s. There will be a PBS Nova special “Vikings Unearthed” appearing online Monday, April 4 at 3:30 pm EDT and Wednesday, April 6. As my book Myths of the Rune Stone: Viking Martyrs and the Birthplace of America shows, there has been a long history of the American fascination that Vikings traveled to North America prior to Columbus. There are multiple racial, religious, and cultural reasons that fuel this fascination, even when the evidence is thin. Some Viking enthusiasts think they even reached what is now Minnesota. Although most of the evidence to support this is deeply suspect (i.e. the Kensington Rune Stone), this new evidence suggests that Vikings may have traveled at least a little bit further west than we had previously thought.